The parish Catechists are a small group of parishioners who have been trained to instruct others in the faith. They work closely and under the instruction of the parish priest in helping people to develop their faith. To be a Catechist a recognised course run by the diocese has to be completed. 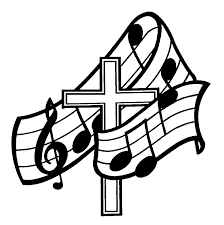 The Choir sing regularly at the 10am Mass on Sundays as well as other special occasions throughout the Churches year. The Choir would welcome new members who are able to make a commitment to Friday evening practice as well as Sunday Morning Mass. An ability to read music is not essential. Guild of St Stephen – Altar Servers. Volunteers to serve on the Altar are accepted in the September after making your first Holy Communion. Servers are expected to serve on a regular basis, and with reverence. After a period of training and 12 months commitment servers may be enrolled into the Guild of St Stephen. The Journey in Faith is a basic course in the Catholic Faith which is run every year. It is for Catholics and Non-Catholics alike. It is for a deepening of the Catholic Faith, for those who wish to know more about the Catholic Faith and for those who wish to become Catholics. The Course normally begins each autumn (September/October) and runs through until the following Easter. It is one evening a week and begins at 7.30pm and always ends by 9pm. For more information see BECOMING A CATHOLIC on this website. The Ladies Guild is a meeting for the Ladies of the parish. They normally meet on the third Tuesday of each month in the parish meeting room. They conduct a wide variety of activities, from socials and meals, to interesting speakers, as well as some fund raising activities and help about the parish. They even occasionally invite the men along to join their events! The parish Forum is a consultative and supportive body for the Parish Priest to help foster the development of the Parish in its Communion and Mission. The Forum is an open gathering of parishioners who meet a number of times a year in the parish room. The parish prayer group is open to any one! It meets every Wednesday evening at 7.30pm. It is called prayer and project – because after a period of prayer, the group often do “practical” things to help and assist about the parish. ​Just turn up Wednesday 7.30pm in the parish room. The parish St Vincent de Paul group was relaunched in 2015. It meets on the First and Third Monday of each month at 7.30p.m. in the parish room. It has a number of members who are involved in many aspects of the parish and local community life. Most Wednesdays of the year we gather after the morning Mass for a cup of tea or coffee and a slice of cake. There is often a range of ages present and a pleasant social atmosphere. It’s the chance for a quick catch up and a friendly word. There is no membership, it is open to all and a small donation for refreshments would be appreciated. From time to time the parish has a young adults group. To be eligible you have to be in year 11 or above and be someone who is trying to grow and develop their faith. The meetings are usually once a month on a Sunday evening. Through this group we encourage our young people to become involved in the life of the Church. We also encourage them to participate in the Lourdes Pilgrimages, World Youth Day events as well as events closer to home. The parish has a number of Extra-ordinary ministers of the Holy Communion. These chosen parishioners help the priest with the distribution of Holy Communion during weekend Masses as well as take Holy Communion to the sick, elderly or housebound. If you require a visit at home from an Extraordinary minister please contact the parish office. After you have been seen by one of the priests, if judged necessary a minister may be assigned. Reading (or proclaiming) the scriptures for the day during mass is a service to the community. We are always looking for new readers to join the rota. If you would like to help please see one of the priests after Mass. Our wardens assist in meeting and greeting people when they arrive, providing the necessary literature and being available. We have two teams one for Saturday evenings and one for Sunday mornings. We have a number of dedicated parishioners who give up approx. ONE hour per month to help keep our church in the beautiful condition in which we like to worship. 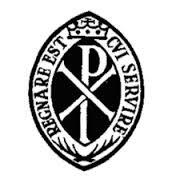 If you could spare some time, on a rota basis, to help please contact either the parish office or one of the priests. Some of our unsung hero’s in church are the flower arrangers. Each week they come and arrange flowers to enhance the building and the liturgy. To volunteer to assist ask via the parish office. The piety stall is usually open before and after the masses each weekend. It is located in the Main Entrance to the church. It has many aids to prayer available as well as Bibles, books, leaflets and prayer cards. If you are after something in particular do ask either Mrs Lesley Colclough (Saturdays) or Mrs Anne Thompson (Sundays). We have a loyal and small band of volunteers who take care of our grounds, cut grass and trim the hedges. We are always looking for an extra volunteer or two if you have an odd hour to spare.